Interview with CEO and Co-Founder of Gigas | Blog - Gigas The Cloud Computing Co.
Diego Cabezudo, CEO and Co-Founder of Gigas was interview by Jackie Glodstein for Hostadvise. The interview reviews the strengths of the Cloud Computing market, how we are a different company in the cloud market. The main focus is about the vision over the present ancd future of the company Gigas Hosting. 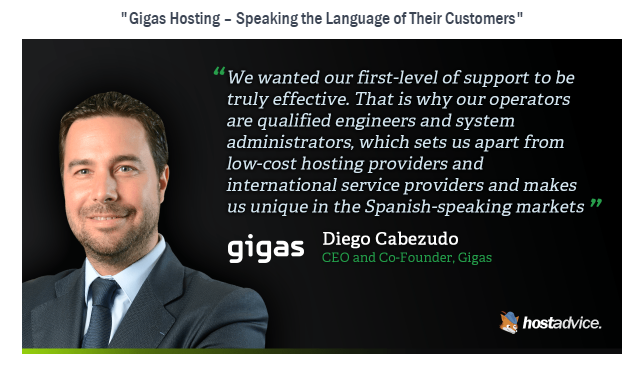 You can read the full interview clicking on the following link: https://hostadvice.com/blog/gigas-hosting-speaking-language-customers/.